As many of us know, October 29, 2012 was a tough time here on LBI as well as the rest of the Jersey Shore. I put my marketing degree to the test and co-created LBIisAlive.com. This website was created to get the word out that LBI was indeed alive and well post Sandy and that we were a viable option for the summer. The news painted LBI as “the Seaside boardwalk with amusements in the ocean and Mantoloking’s houses in the bay”. We do not have a boardwalk and our injured homes stayed on land. Within months we were open and functional. More restaurants were open in the spring of 2013 than any other spring in my first 22 years on Long Beach Island. Hi Sam, Just a little note to thank you for all that you did to jumpstart all the businesses on LBI following Superstorm Sandy. Your leadership certainly inspired me to get things going and to wind up having a not so bad year (only down about 5-10% from last year). Although I had no flood insurance like many others I was able to borrow and redo the entire restaurant, now, waiting to hear from EDA on my grant application, I’m in the final stage, I should be hearing soon. So again thanks for all your help. The next phase was to get signs and banners printed up to help visually get the word out (and attract positive media). 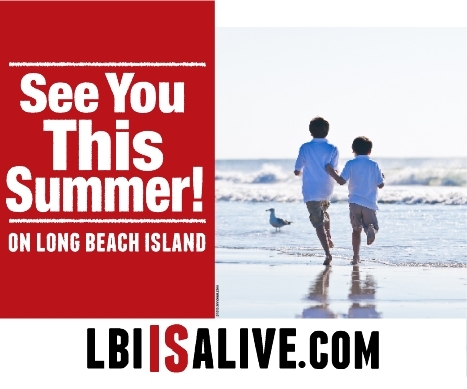 The “See You This Summer” signs were free to LBI businesses. We asked businesses to put them outside their buildings to let people know they would be open and ready for business for Summer 2013. We also sold large banners to businesses to tie on their buildings. We decided to sell apparel as well (T shirts, long sleeve shirts and hoodies) since the response and the following was so great. 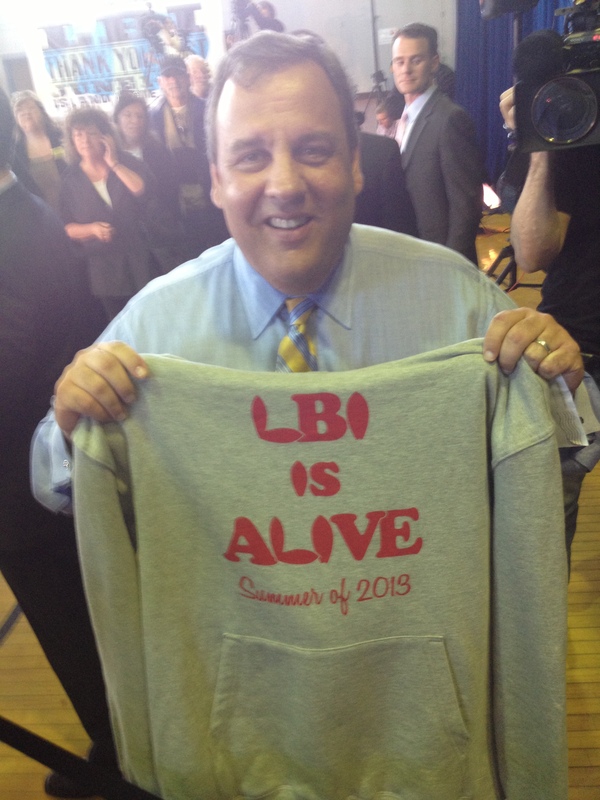 We even gave Governor Christie a hoodie (the picture was seen by over 50,000 people, from what we could count). Through the sales of the banners, apparel and donations we were able to donate almost $3,000 to the Long Beach Township Sandy Relief Fund. The site is no longer really in use since the Summer of 2013 has come and gone, but in the future it may be used again. Stay tuned.